So let me address the fallacy about prayer mentioned above. Let me say that yes, we always have hope in prayer. God can do anything, and He makes lots of promises about prayer in scripture. I can’t explain it, but at the same time, it is true that God sometimes just says “no” to our requests. There are biblical examples of this. In light of what you surely know happened to Jesus in the days following this, think about that verse. He fell on His face asking not to have to go through the suffering and death on the cross. But you know He did. God said “no” and forsook Him there. You know that the “no” in these times was for the better. Paul says God gave him his trial to keep him from boasting. Jesus rose from the dead so that by our faith in Him we may not die like He did. And because you know God loves you, you must know that His “no” to you is also always for the better. I pray that you take comfort in knowing God loves you, even in the “no,” and He has a good and perfect plan for you. 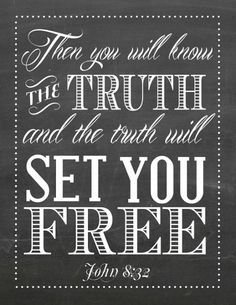 I pray that you can know truth and it can free you from being tossed to and fro by non-truths that are empty and disappointing. In Isaiah 49:23 God says, “Those who put their hope in Me will not be disappointed.” I can’t say the same for every cutesy quote you pin or read in a greeting card. *Will you add to this post? Please comment about another lie you’ve heard in your trial, and the truth that counteracts it. That is im this or that enough GOD will send me a husband. Or if you set someone free they will come back to.you. thats not in the bible, when i broke up with my boyfriend he married someone else. And that scripture about giving up stuff for the gospel doesnt say youll get a new wife or husband. Sometimes you do lose in this life. But God does have a reason but its necessarily to give you what you want but for Him to fulfil His plan.we dont get to choose our function.